Lovely little Stokesay Castle isn’t really a castle at all; certainly, no self-respecting potential besieger would take it as a serious hindrance. Described by English Heritage as “the finest and best-preserved fortified medieval manor house in England”, Stokesay actually looks like someone has taken a grand old barn and added interesting bits to it, one at a time, depending on their prevailing mood. “Today, I’m feeling a tad martial, so I’ll bolt on a chunky, crenellated, tower; oh, maybe I’d like something a little more homely now…” Which is curious; because, apart from the timber-framed gatehouse, Stokesay was mostly all built in one go, in the late 13th century. 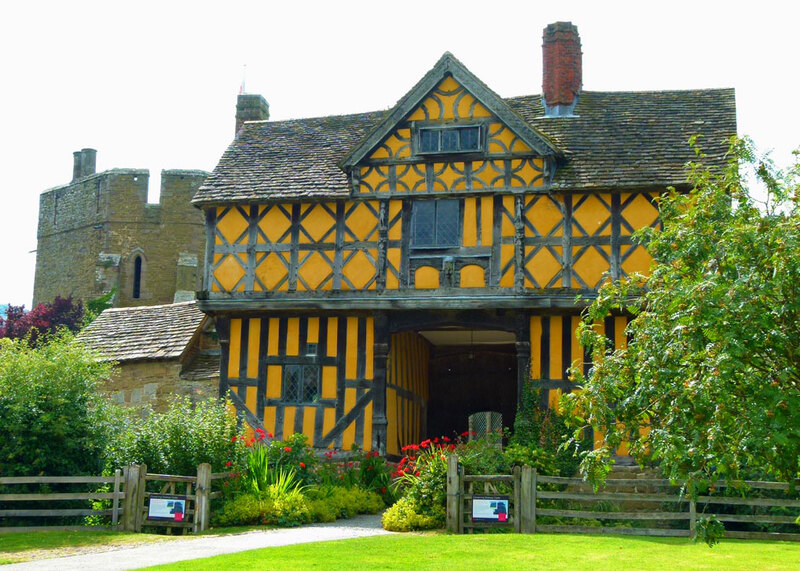 The Memsahib and I came across Stokesay several years ago, whilst on a progress through the West Midlands. We immediately fell in love with the place, but this was in the days before A Bit About Britain became a twinkle in the eye, and when I refused to have a digital camera. Which, in retrospect, was fortuitous, because it meant that a return visit was necessary. The perfect opportunity arose when I arranged to visit an old friend in Devon and, in one of those moments of lunatic brilliance, worked out that a diversion to Stokesay could be justified, provided I set off at the same time as the sparrows broke first wind. How was I to know that this would entail swapping the traffic jam on the M6 for another near Ludlow? Stokesay is a tiny, delightful, place – just the castle, a church, a few houses and a farm – a gnat’s flight off the A49 in Shropshire. In the 12th century, the de Say family owned the land hereabouts and gave their name to it: stok means an outlying farm, or enclosure. Stokesay was then in the territory of the Marcher Lords, who wielded almost unlimited power during a period of frequent border warfare between the Welsh and Norman-English. There was probably a tower and other defensive buildings at Stokesay in these uncertain, often violent, times. But we have a wealthy wool merchant, Laurence of Ludlow, to thank for the Stokesay Castle we can visit today. Laurence was so filthy rich that he could afford to lend money, and even offer advice, to King Edward I. He had offices in Shrewsbury and London (I can see the letterhead now) and traded extensively with France and the Low Countries – all without the help of Jean-Claude Juncker. The border between England and Wales was becoming more peaceful and what Lawrence wanted was a house in the country – so he acquired the manor of Stokesay in 1281 and built himself and his family a comfortable home, probably partly using other buildings already on the site. In 1291, the King granted him a licence to crenellate, which meant that he could fortify his house – though, as I have suggested, it was pretty half-hearted; I like to think that Laurence was just after a little luxury in his life. Sadly, in 1294, Laurence fades from our story, and history, when his ship was wrecked off the coast of Suffolk and he drowned. 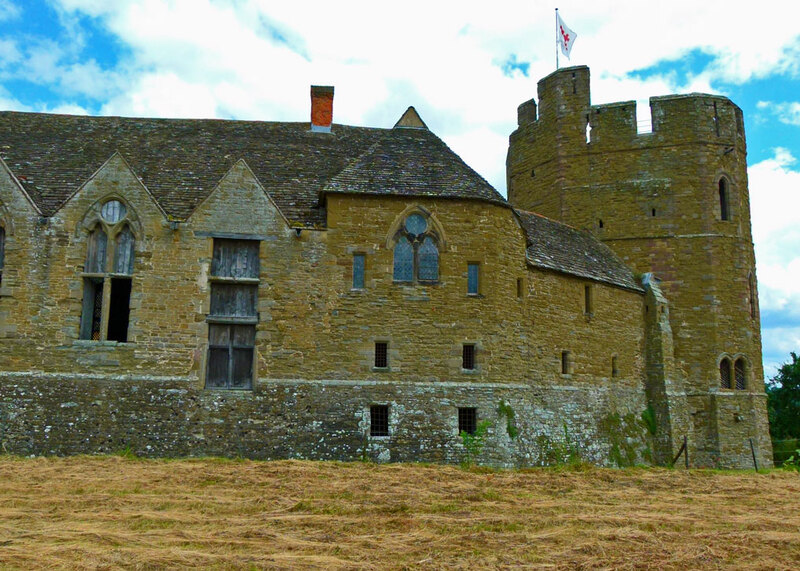 The Ludlow family kept hold of Stokesay until 1497. It then passed through various hands until, by the 17th century, it was owned by the Craven family. It was they who built the gatehouse, in around 1640. The Cravens were staunch Royalists during the Civil War and, in 1645, Stokesay was confronted with a force of Parliamentary troops. The garrison was in no position to withstand a siege and, after an exchange of words, sensibly surrendered without a fight. A later attempt to re-take the castle failed. 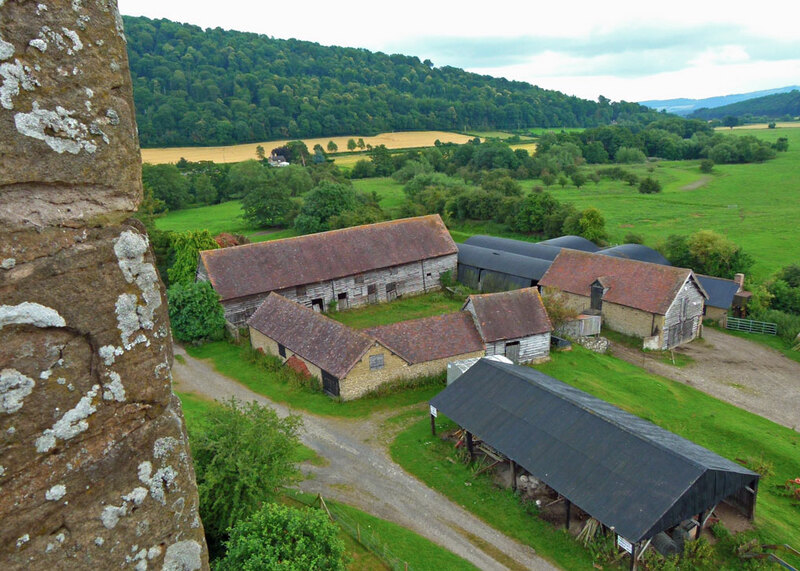 Parliament demolished the curtain wall and stables but, remarkably, left most of the fabric alone – possibly because, unlike other castles they pulled down, Stokesay was not considered much of a threat. 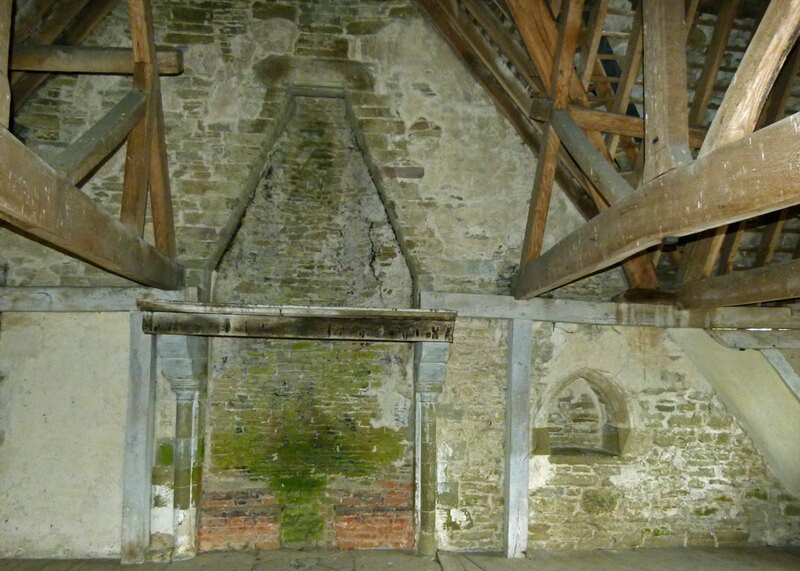 By the 18th century, it was starting to decay and the buildings were put to a variety of uses, including storing grain. It was saved from total ruin by the successive 19th century interventions of the Earl of Craven, Mrs Stackhouse Acton, a local landowner, and the glove manufacturer John Derby Allcroft, who bought Stokesay in the 1870s. 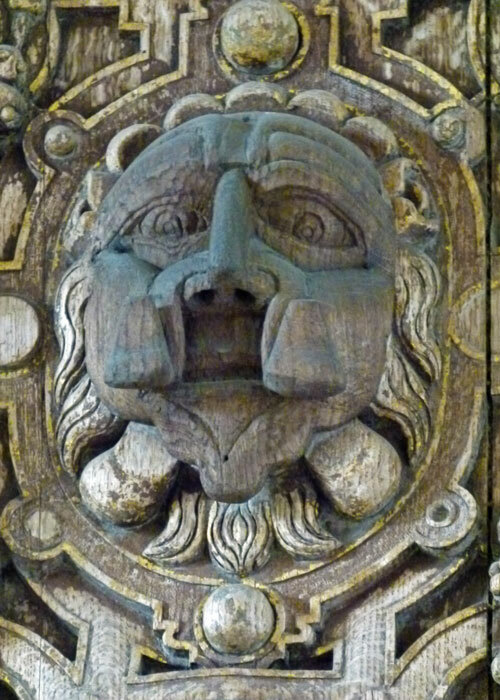 By the time it was acquired by English Heritage in 1986, however, it needed restoring all over again. You enter Stokesay via the churchyard of the neighbouring church of St John the Baptist. And this is really a tremendous view of the place, so I was distressed beyond all measure (can’t beat a bit of hyperbole) to see scaffolding enveloping the rather impressive north tower. This of course means that another visit will be necessary. Your tour starts with the charming gatehouse, which is Stuart, as we have said. It now houses a small tea room, and it is a gem, with lozenge-shaped patterns, some elaborate carving and a wonderfully warm yellow ochre infill. It would have replaced an earlier, probably stone, structure; the Cravens certainly weren’t expecting any trouble when they did this! Through the gateway, and the curtain walls would once have surrounded the bailey area, containing vanished kitchens, stables and other buildings. A low wall has now replaced this and, I guess, helps stop people from tumbling into the moat. Immediately ahead is the Great Hall, the public room of the castle and largely unchanged for 700 years. 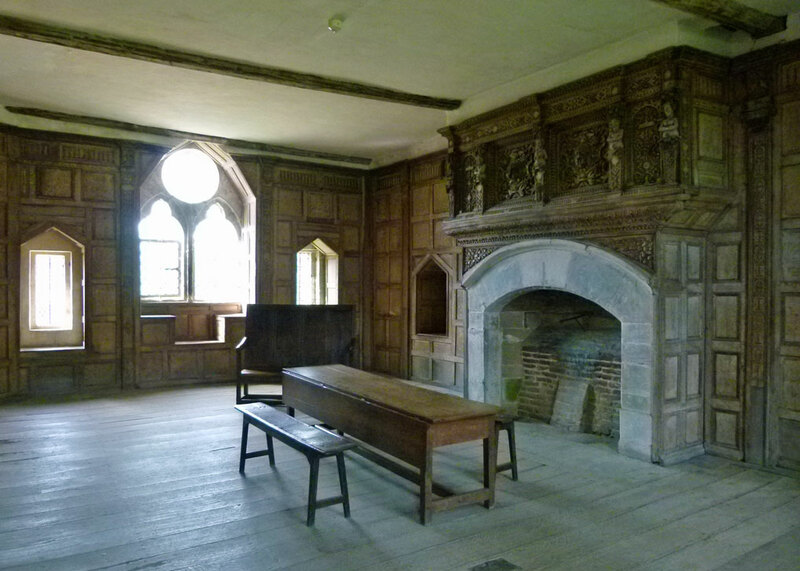 Some places simply exude their past; Stokesay’s Great Hall is one of them. Light streams in from three massive windows; above is an extraordinary roof; in the centre, an open hearth – smoke would have seeped out through gaps in the tiles. At the northern end of the hall, a timber staircase leads to private apartments in what is probably the oldest part of the castle. 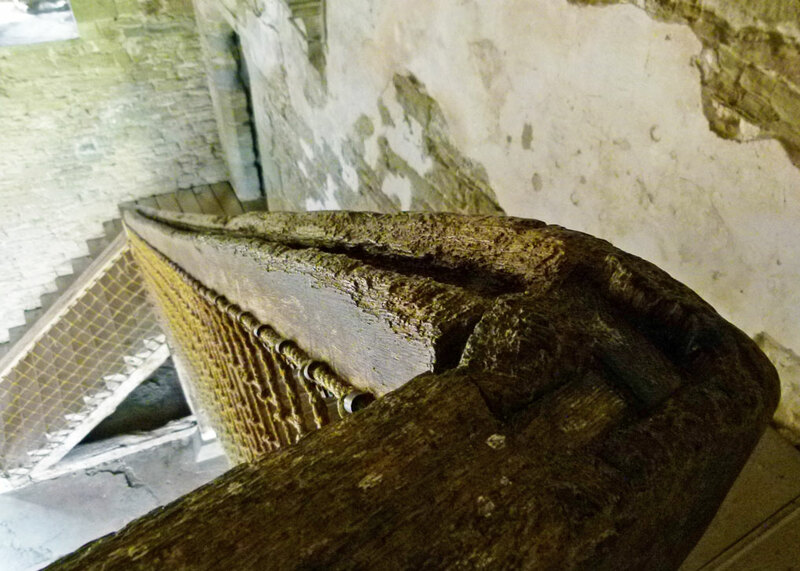 The stairs are made from single planks and the wood dates from the late 13th century. It is a peculiar sensation, imagining the hands and feet that have gone before. At the other end of the Great Hall is a solar, where there are more private apartments. 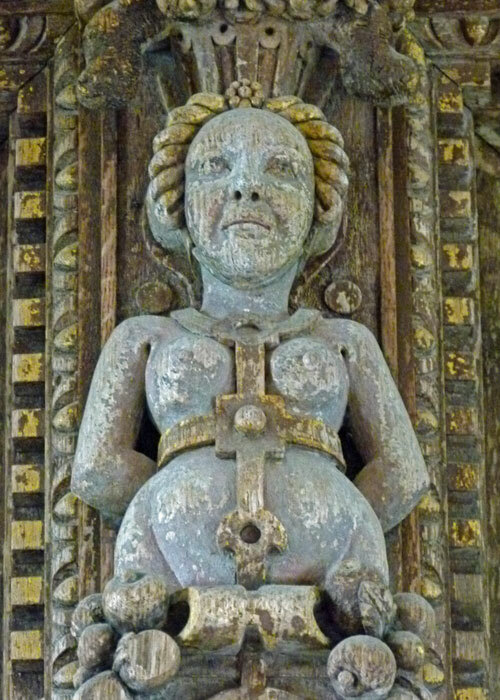 Rich oak panelling and an elaborately carved overmantle, colourfully painted, was installed in the 17th century. I imagine this would have been where the commander of the Royalist garrison, a Captain Daurett, would possibly have contemplated surrendering to the Parliamentary forces outside. Beyond, and linked by a bridge, is the polygonal south tower – to be fair the only part of Stokesay that resembles a castle. House martins and bats nest in the lower rooms; on the roof are superb views of the Shropshire countryside and the castle’s lake. Stokesay is evocative and full of atmosphere. One of the astonishing things about it is that the remaining buildings have been left pretty much unmolested. 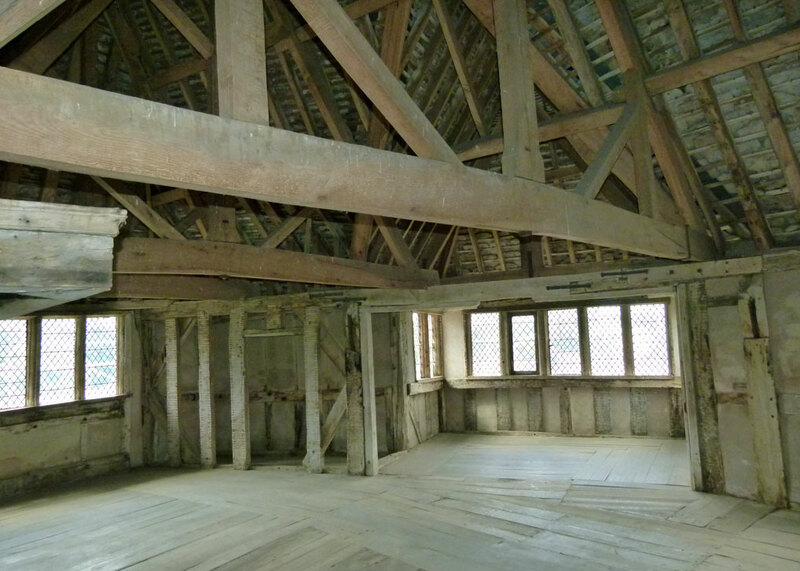 English Heritage doubtless considered smartening up the interiors, installing period furnishings and, horror of horrors, tawdry juvenile displays to ‘enhance the Stokesay experience’, or whatever. I am so glad that, so far, they appear to have resisted this fashionable urge to try to deliver history, sanitised and neatly packaged. As it is, it seems as though the last occupants have left, albeit some years ago, taking everything portable with them. Stripped away, there is a raw feel to the place, like looking round an unfurnished house where you see the potential without the clutter of others’ ideas. It allows visitors to personally sense Stokesay’s history at source, getting a feel for the people who built and lived in it, and to energise their imaginations. Really, from there, you can go anywhere, can’t you? It just takes a bit of thought. As a footnote, there is another Stokesay Castle in Reading, PA (Pennsylvania, USA). Allegedly inspired by the original Stokesay in Shropshire, it was built a little more recently, in 1931, by a businessman George Baer Hiester. It was a wedding present for his wife – who apparently hated it; there’s no pleasing some people. It is now a hotel and wedding venue. Comment escaped before I finished! Your blog has brought it all back to me in fine detail and clarity of remembering. I am unlikely to get there again but I have happy memories of spending several hours there on a fine warm Shropshire day and without even trying I time-travelled backwards many centuries. I was the maid in the s ulcers, the lady of the house in the upstairs apartments, I could hear the noise in the great hall a and see rows of tables set with food. Dogs and metal everywhere. Thanks so much for your post, you’ve taken me back there again. Merry Christmas. AND a Merry Christmas to you too! Thank you Mike. Interesting informative text and GREAT photos. 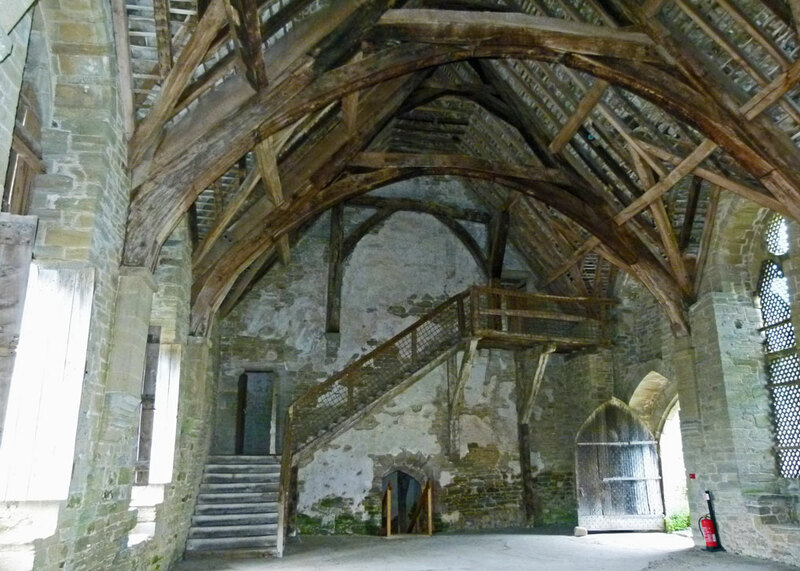 I visited Stokesay in 2009 and have never forgotten the feeling I experienced walking into the great hall, and then climbing those stairs. Thanks Barbara – and thanks for dropping in. Stokesay is lovely. I meant to go back last year, but still haven’t managed it. English Heritage have some wonderful pictures of it in the snow. Wow – what a fabulous series of photos! Thank you – and thanks for dropping by! Another well done post. Thank you for the tour. It is a shame about the scaffolding. Wherever we go there is always some scaffolding somewhere!! I like to think they haven’t quite finished building some of these places, CP. I’ve been meaning to get to this place for a while, I just love buildings of this era. The ancient atmosphere remains in the details. We holidayed near Stokesay a few years ago and saw it from the road and I meant to visit but we never got around to it. I hope we get there eventually! Great post yet again Mike – thank-you. Another fascinating post. I went to check out the US version since it is near where we will be for thanksgiving later this month. Website did not do it an favors. No need to check it out. Your Stokesay is another matter. Loved the yellow building especially. was it really that bright? Yes, Marcia – the yellow looks quite dark at times – depends on the light. 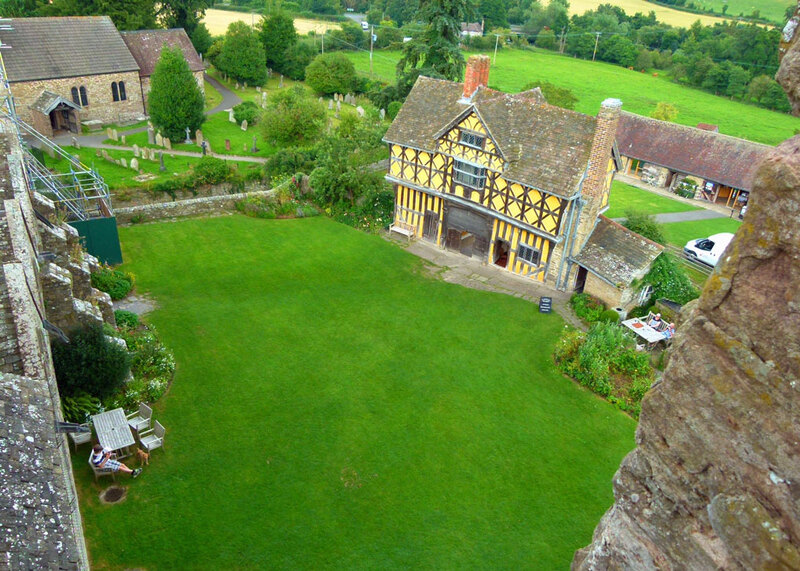 You’ve got some great shots of Stokesay. To think that building permits were required as long ago as 1291! Something about that glove manufacturer rang a bell and I’m thinking that there’s a glove manufacturer connected with Sudeley too. As always, interesting. And that is a nice part of the country. We stopped at Stokesay but it was closed, on our way from Dorstone to Shrewsbury. Ah, we have a long history of bureaucracy, CM! If ever Dear and I get to travel back to Great Britain I hope I can bend your ear on what to see when we narrow down the area we will visit. 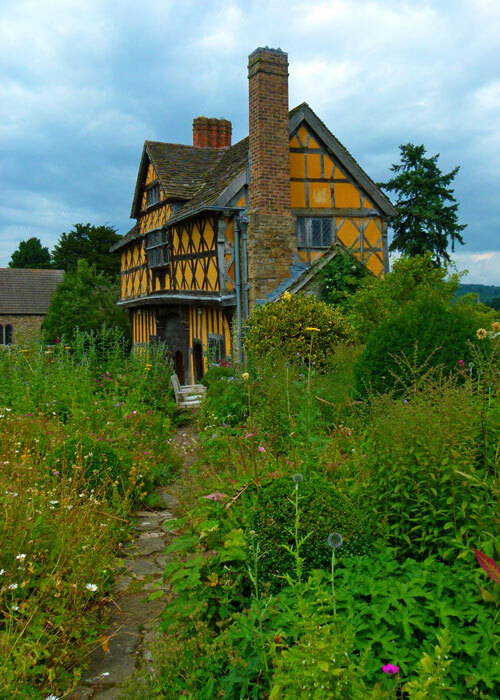 Beautiful photos of Stokesay! Of course you can, Ellen! Drop me a line a month or so in advance. Love, love, love Stokesay Castle, have been there more times than I can remember. It’s certainly worth a re-visit. The church is interesting too. There are so many great places to visit,and if I can’t go in person, then I always enjoy visiting them through your blog …and lovely photo’s! 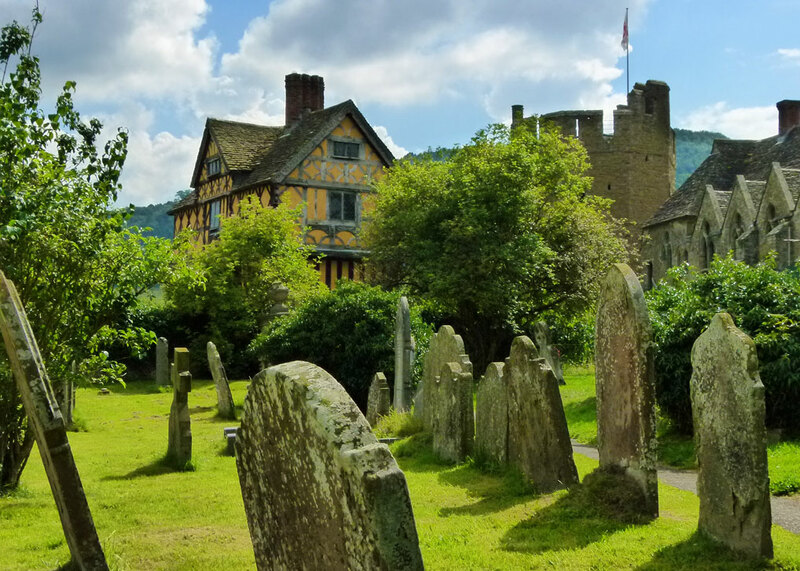 Stokesay has certainly had a storied past — all sorts of interesting history through the ages captured inside those walls. I absolutely LOVE those windows — they’re spectacular. Your pictures are great, by the way. I had to laugh when you wrote that you refused to have a digital camera, back in the day. That was exactly like me. 🙂 I loved my hard copy pictures and the whole film thing. I also loved my old Canon Sure Shot, which my husband dropped on our kitchen floor, and it never worked again after that. I would have sworn he did it on purpose, except he’s not that kind of person. Hal was on board with the digital cameras right off the bat, and I eventually succumbed. I have to admit that now I love them — so convenient. Thanks for sharing this with us — hope you have a great weekend! I’m having problems getting coal for my PC now, Denise. Great little place – I must try to divert my route in that direction some time. I’ve seen a few English Heritage sites where they’ve managed to leave things alone, though I’ve never been sure if it’s intentional or just a lack of funds. Splendid photos, Mike. Another great place , not visited it for many years and now want to go again. Love those timbers! I see it’s about 150 miles up the M40 from London so I’m betting most of my fellow Americans never get there. I visited the American copy via your link and I’m not surprised the bride did not approve. It’s hilarious the “castle” seems now mainly used as a wedding venue. Anyhoo, love the info but especially the way you present it. Enjoying your writing style, see you next week. I’ve never been to Stokesay, though it’s on my bucket list. I think next summer I might have to make an effort and go to see it. Have you ‘done’ Middleton Hall near Tamworth? I think you’d like it. I think some of us need huge buckets, HA! No, I’ve not visited Middleton hall, but it looks a peach.